This article first appeared at the Ludwig von Mises Institut, Deutschland. It has been translated with permission from the original German into English, by Andy Duncan. Here is the original article. The detailed references in the article below link directly to the glossary attached to the original piece. Of course, the politicians of these nominated ‘industrialised countries’ will hardly expect to pay all of this cash out of their own pockets, but will instead mandate their taxpayers to pick up the tab. As far as this ‘private investment’ is concerned, there would be no need for any agreement if these projects were actually profitable within a genuine free market. Instead, the relevant financial incentives are created through regulation and subsidy, which then restricts freedom of choice for private producers and also blunts the free choices of taxpayers. In addition, the International Monetary Fund is calling for a carbon tax , even though net taxpayers have already been heavily burdened by energy taxes, vehicle taxes, and other such charges and regulations within the housing construction business. However, if citizens decide that politicians are unable to provide substantiated evidence to back up a massive encroachment upon assets and freedoms, this could prove catastrophic for politicians, as well as for entire industrial segments that no longer rely upon the freely chosen demands of customers, but instead rely upon taxpayer subsidy and government regulation. These industries range from the manufacture of wind turbines and electric cars through to that of electric lamps and polystyrene thermal insulation panels. And let’s not forget the climate conference industry itself. If anyone actually wants to determine whether there is climate change, we should perhaps establish its causes, or whether its consequences can be prevented or mitigated by human intervention. Various conceptual scientific methods are available to do this. We could choose any one of many different branches of science, whether it be economics, mathematics, logic or even the science of history. Each of these branches possesses its own methodology to gain scientific insight. Although even these hard sciences are unable to provide secure knowledge, they do enjoy a great level of trust. And rightly so. They have produced many practical findings. We should be especially thankful for those laboratory experiments that can demonstrate constant relations, especially if they prove repeatable at will. So ‘understanding’ is a method that handles the understanding of complex phenomena and predicts the future within complex systems. However, the data obtained from complex phenomena can neither prove nor disprove a theory. In the natural sciences and within natural history, understanding is out of place. The natural science method is a verification of constantly predictable relations via experimentation. Is climate forecasting a natural science? The first question which arises therefore becomes: What should we do with climate research? Should we do it with science? Or should we do it with predictions created using a method such as ‘understanding’? Let’s take a look and see what currently happens within climate research. The direct effect of CO2 within a closed system, in terms of temperature effects, is known from ‘well-stablished physics’ based upon laboratory results determined over the last century or so. As far as this laboratory knowledge is concerned, we can therefore speak of “hard” science. But the Earth is not a closed system. Firstly, there are people and animals that emit CO2, who we can label as aerobic ‘burning’ respirators, i.e. those who require oxygen . Secondly, there are plants that operate via a countering process of combustion. They use photosynthesis to build up their physical structures from CO2, whilst employing the abundant energy of sunlight. They also emit oxygen as a byproduct. NASA (the National Aeronautics and Space Administration) estimates that an increase in CO2 within the atmosphere would lead to increased plant growth. Other factors affecting temperature and weather include solar activity, humidity, cloud cover, or precipitation. Thus, whilst it would be scientifically correct, within a laboratory experiment, to say that increased CO2 emission leads to an increase in temperature, a statement about a complex feedback system that constant relations cannot yet describe, is no longer a scientific statement. It is instead a prognosis in which a ‘method of understanding’ must be applied. If there were constant relations in the climate, which came from the accumulation of measured weather averages, then we could accurately predict the weather over longer periods of time. But each of us knows, even if only from personal experience, that the weather can only be predicted over very short periods of time and not often particularly accurately. What the climate scientists of the IPCC (Intergovernmental Panel on Climate Change) do is to make relevance judgments, as historians do or even everyday people do in any assessment of the future. Since they’re unaware of constant relations, they can only provide relevance judgments. Climate scientists know that all the factors, such as temperature, CO2, cloud formation, solar activity, humidity, and so on, work together to produce the data that they later call ‘climate’ within their statistical frameworks. However, they remain unaware of the underlying constant relationships upon which these factors interact. We can only evaluate their judgements via their models. This quote comes from the 39th issue of ‘Swiss World Week’, from Oxford University climate scientist Myles Allen, co-author of a study published in the journal ‘Nature Geoscience’. The computer models will indeed be wrong, because basic climatic relationships within the atmosphere have either remained unknown or misunderstood. The scientists have now concluded that humanity may be able to emit almost four times more CO2 than previously thought, until the earth is supposedly heated by 1.5 degrees. While the climate skeptic party sees this as yet further evidence for climate alarmist failure, the study’s co-author, Pierre Friedlingstein, interprets its results as really good news. Without the slowdown, he says, the project to limit warming to only 1.5 degrees would have proved unrealistic. Now that we know that climate research uses the method of specific understanding, we can realise why no reliable predictions prove possible. And we know that understanding can never contradict the teachings of other knowledge fields (such as logic, science, mathematics, and economics). Therefore, we can now also check whether the IPCC statement – that humans are responsible for the warming of the last 50 years, with a ‘probability of more than 95%’ – contradicts the teachings within other bona fide areas of science. What do probability statements tell you? The figure of 95% is an indication of a probability. Probabilities do provide us with knowledge of logic and mathematics. There are basically two types of probabilities. These are ‘Class Probability’ and ‘CaseProbability’. In the case of class probability, we know everything about the behaviour of an entire event class in terms of the object of investigation. However, we know nothing about a specific, single event except that it belongs to that class. We also know about event space, that is, we know about all the events that can happen. However, we’re unable to make a specific prediction about a single event. A well-known example is that of a roll of a dice. We know that the only throws possible go from one to six. However, you’re unable to categorically predict any specific outcome on a single roll. The only thing that you can say is that it will be some integer between one to six. Not to be confused with class probability is ‘relative frequency’ . Unlike class probability, relative frequency is not the mathematical formulation of incomplete knowledge in terms of a phenomenon which we already theoretically know. Further, it is not the a priori behaviour of a whole class of events where we do not know anything about a single event. The only thing that we do know is that it is part of the class. Relative frequency is instead a record of data and a set of ratios. If you roll a dice a hundred times and then roll it 26 times within six separate trials, in mathematics the probability would fail to match the relative frequency of 26%. It would instead still always equal 1/6 (about 16.7%). The relative abundance comes from the result of recording and evaluating historical data. It thus has nothing to do with class probability. In case-by-case probability, we know some of the influencing factors with regard to a specific event in the future. However, there are other factors that we do not know or whose effects we cannot know exactly. A good example is when we want to predict the outcome of a particular football game. ‘Understanding’ is always based upon incomplete knowledge. You, dear readers, may know some of the influencing factors in the sport of football (individual player performance, whether it’s a home or away game, results from past games, and so on). But in the next game, you still cannot possibly know all the factors that will affect its final result or the relevance of any individual player’s ability. In advance of the game, one cannot possibly be sure that they’re completely certain about the relevance of any of the many different outcome drivers involved, or that they will neglect to take into account some of the factors that will indeed play a role. We’re often able to recognise these factors afterwards, with the blessing of hindsight (for instance, the referee had a ‘bad’ day). Incidentally, even within the natural sciences it is forbidden to give a probability about the possible correctness of a hypothesis. Scientific hypotheses are always preliminary statements. All that can be said about them is whether the hypotheses are consistent or inconsistent with both logical principles and experimental results. The hypotheses then prove to be either wrong or non-false (according to the current state of experience). The IPCC’s 95% opinion  is not a class probability. As demonstrated above, this is because a mathematical class probability is a theoretical concept in which we’re aware of the behaviour of the whole class of events from the outset. However, we know nothing about the event in question, except that it is part of this class. The class probability is not a prognosis of the relative frequency and is certainly not a prediction of an individual case. With historical data, a probability cannot be formulated. At best, only a relative frequency can be determined. The IPCC’s 95% statement is an indication of case-by-case probability based upon measured data. 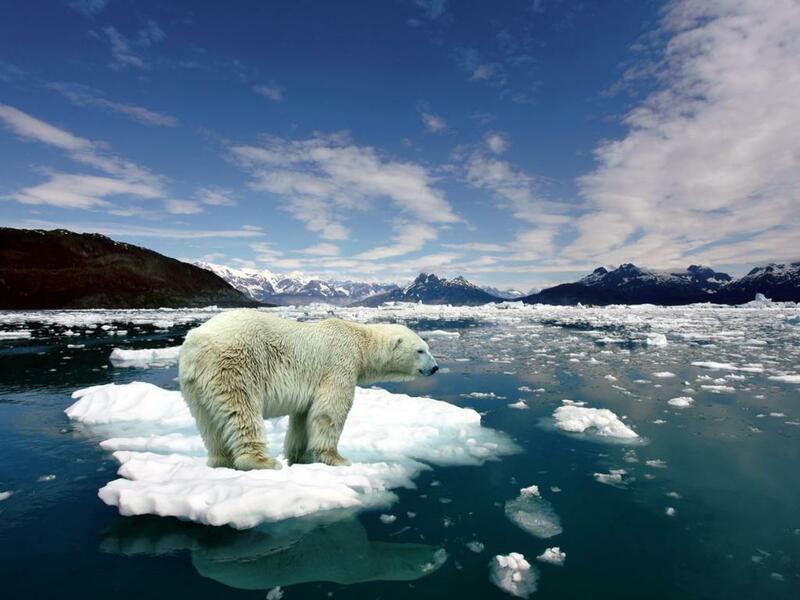 The IPCC is aware of some influencing factors in terms of climate change. However, there are other factors that it does not know about or whose effects it remains unaware of. It has already been shown above, that in the example of a case-by-case probability, the use of numerical expressions is forbidden. So the 95% statement is not a mathematical expression of a class probability, but a weakly intuitive analogy or simply a metaphor. The IPCC claims that it’s as sure about its thesis of man-made climate change as a lottery participant would be who owned 95% of the available lots. But again, as we have already shown above, even in the case of class probability, this figure of 95% cannot tell us anything substantive about any individual case under consideration, except that we’re not completely sure if the predicted outcome is going to come about. As a result of our preceding investigation, we can say that climatologists – with regard to climate history, prognoses and models – do not use the methods of natural science but the method of understanding complex phenomena. They cannot arrive at a safe prediction . And we know that these scientists, with their 95% certainty are blatantly contradicting the laws of thought. Their application of a mathematical expression is wrong, because it is not a case of class probability. In the realm of understanding, the statement remains false, because a case-by-case probability cannot logically allow any numerical expressions; it’s just impossible to calculate one. By assigning climate science to understanding, it’s now becoming clear why such a heated dispute prevails over man-made climate change. It uses unscientific terms that come from the realm of morality, such as ‘climate deniers’ or ‘climate offenders’. Have you ever encountered a scientific discourse where Einstein was referred to as a ‘time denier’ or a ‘gravitational doubter’? On one side, the climate alarmists try to block any further scientific discussion, whereas the ‘climate skeptics’ try to constantly falsify the assumptions of the climate alarmists. Now that we know that these predictions of the climate scientists belong within the arena of specific understanding, we can calmly acknowledge that two climate scientists can fully agree upon the data and the relevance they attach to certain drivers. Also, they need contradict neither natural laws nor logical mathematical rules. And yet, they can still arrive at different forecasts. Similarly, one and the same climate scientist can arrive at different results at different times, without contradicting themselves. The British science journalist Matt Ridley criticised Stern’s report because Stern employed very low discount rates when calculating the effects of climate change. This resulted in very high future damages and costs. In addition, Ridley made the critique that the Stern Report assumes a very high standard of living for all of our future grandchildren. The IPCC scenarios also suggest that our future descendants will have enjoyed a great deal of economic growth, so much so that in the year 2100 their wealth could be four to 18 times higher, on average, than it is for us today. Of course, these rosy economic growth forecasts also affect the forecasts concerning the costs of damage and the levels of future CO2 emissions. So it makes no sense to add up your fortune and that of your neighbours, calculated in cash, if you do not intend to act together in the marketplace. It is impossible to measure wealth . An Italian may like his mild climate and his admirable cuisine very much indeed. But how do you incorporate this into an economic calculation? Of course, most people will agree that prosperity is greater today than it was 100 years ago. There are more capital goods now (factories, technical equipment, mines, power stations, etc.). Many people also have much more in the way of consumer goods (cars, apartments, groceries, hairdressers etc.) than they possessed in the past. Alone, they cannot numerically increase this prosperity measure. Different people rate economic progress differently. For example, a retired organic farmer may find it regrettable if a new highway is built within his locality, whereas the employed commuter who lives nearby is overjoyed to use this new highway and certainly sees it as a value. In addition, one and the same person can also rate the same object differently at different times. So, if the IPCC or the Stern Report calculates the cost of climate change in terms of what effects there will be to future damage, or to future incomes, or to future aggregates of GDP, we can say that they contradict the lessons learned by these calculations. Economics cannot measure value, there is no single economic entity in the economic sense, and so therefore it is absurd to aggregate GDPs to calculate a single world economic performance. The calculations of the IPCC should therefore be described as false because they contradict the teachings of economics. Of course, one could estimate from today’s market prices, within in the context of understanding, what the cost of measures could be to prevent any anticipated future damage. One could also estimate what the market prices would be of anticipated future damages or those measures to prevent them. However, such monetary prices of damage, and the measures to prevent them, cannot be calculated economically. Purchasing power itself cannot be measured. The statement of damage and costs in relation to a GDP cannot make sense if the term GDP itself makes no sense. To sum up, basing themselves upon historical data and known scientific relations, the scientists of the IPCC suggest that humans have contributed to climate change by emitting CO2. But they’re not certain. They also feel that damage can be caused by climate change. However, they cannot calculate the value humans will attach to these damages, They also believe that this damage, if it remains unprevented, could be mitigated. Surely they cannot be certain here either, if they’re already unsure about whether humans have actually contributed to the cause of climate change? And if scientists propose compulsory levies and regulation, i.e. state prohibitions and regulations to prevent or to mitigate the damage considered as possible and preventable, this becomes an ethical evaluation, which is of course unscientific. It does though perhaps tell us something about the attitudes of these scientists to the desirability of coercive measures. However, it’s far from the case that the IPCC or NASA can almost certainly detect man-made climate change. The statement of a numerical probability contradicts laws of thought. The metaphorically given 95% figure should not serve as proof of causality in any judicial procedure. It certainly should not come to a question of whether reasonable doubts remain, because the burden of evidence already admits to the statement that there are indeed weighty doubts. The calculation of the expected level of damage and the costs of damage control could, therefore, have saved the scientists of the IPCC. But since these calculations have been carried out, we can say that they contradict the laws of economics and are therefore wrong. The results of climate research can therefore not justify the taxation of citizens. To avoid harm to the citizens, the existing taxes and subsidies, which were justified by man-made climate change, should be abolished immediately. And under no circumstances can tax increases, new taxes, or any other new subsidies be justified.